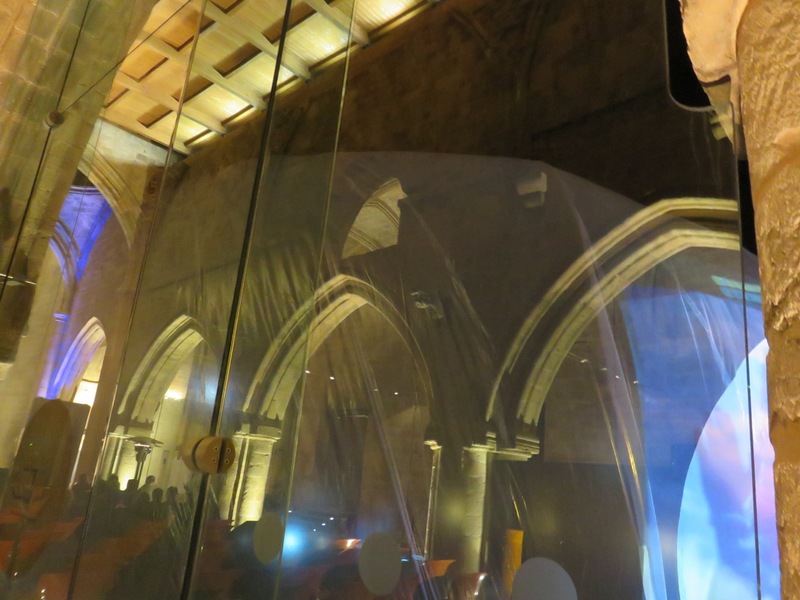 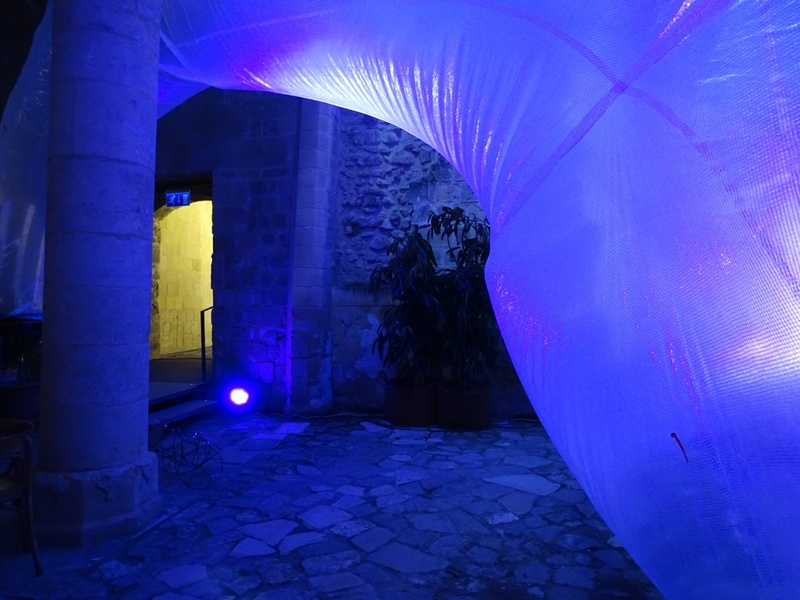 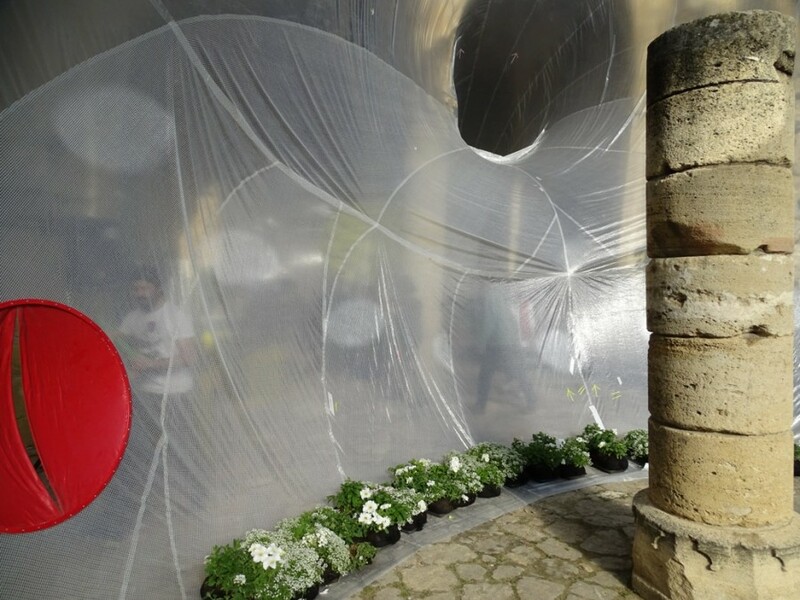 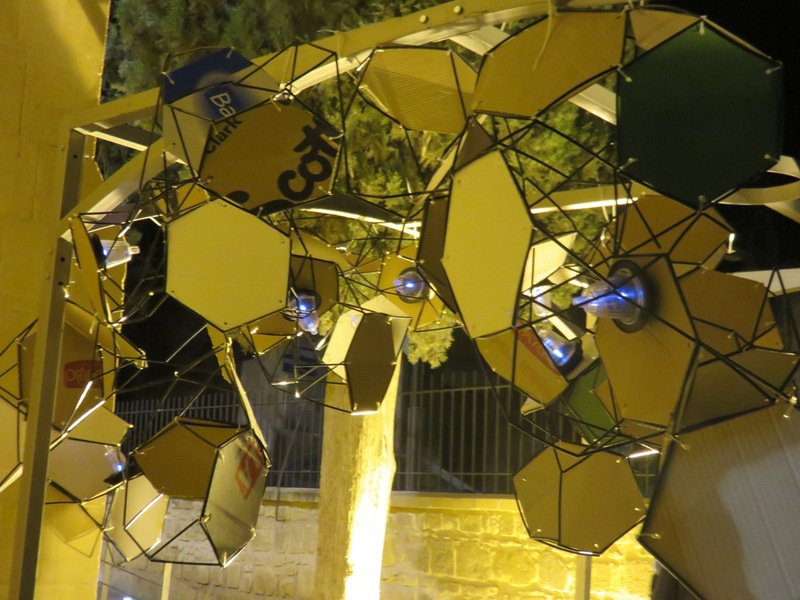 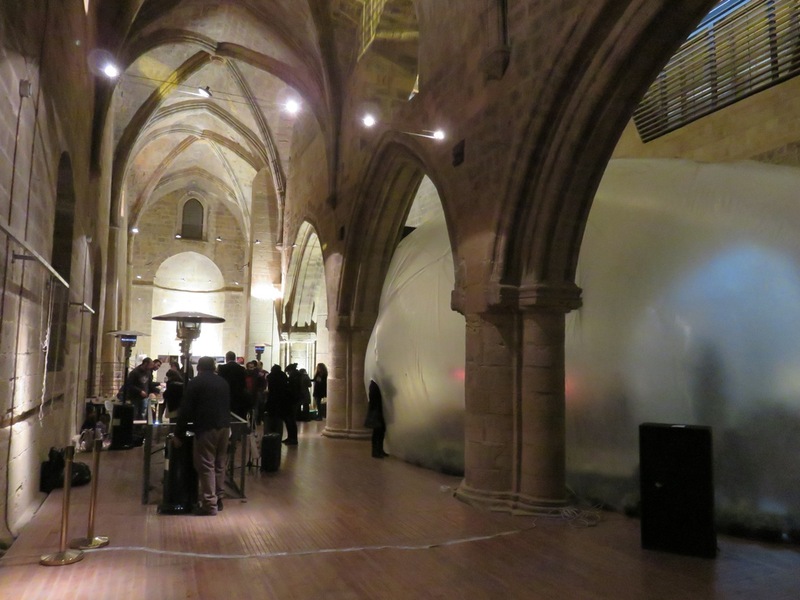 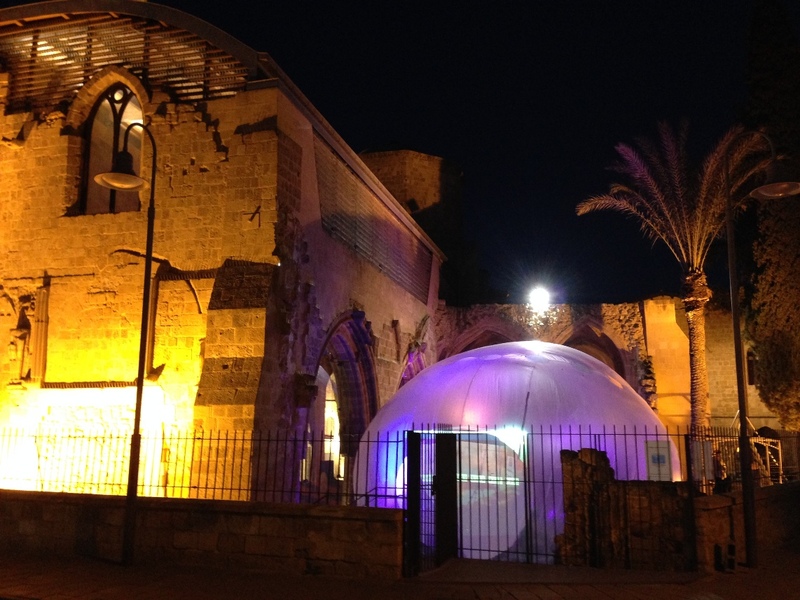 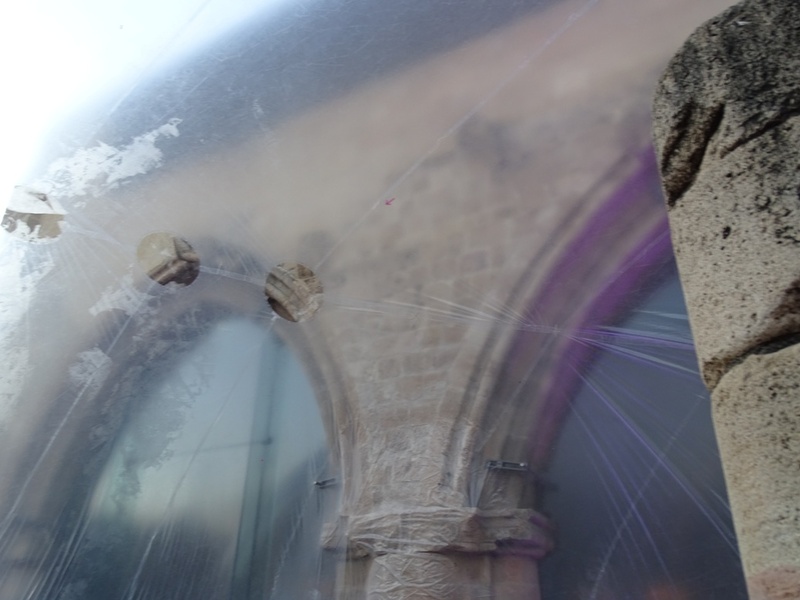 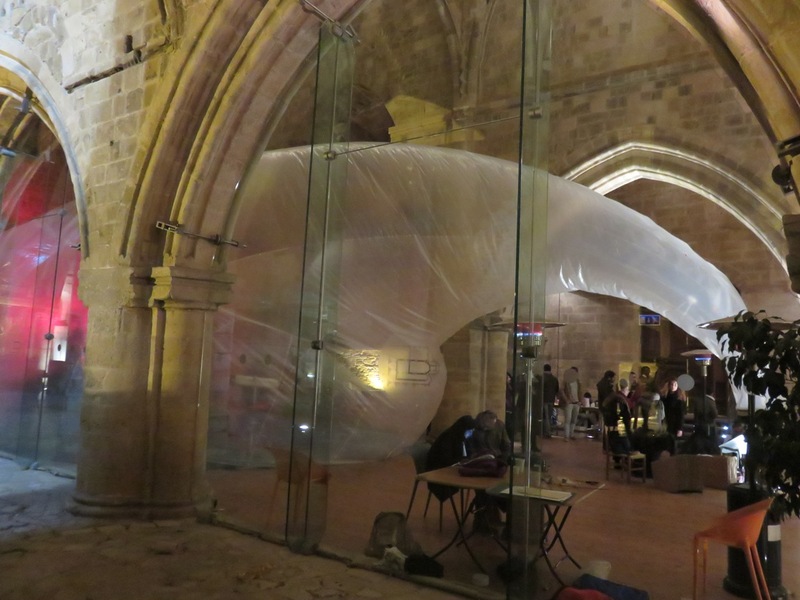 The European Mediterranean Arts Association (EMAA) in collaboration with Urban Gorillas and Plastique Fantastique (Berlin) hosted Life Inside_Outside a Bubble at the Bedestan in the old city of Nicosia on 20-21 March 2015. 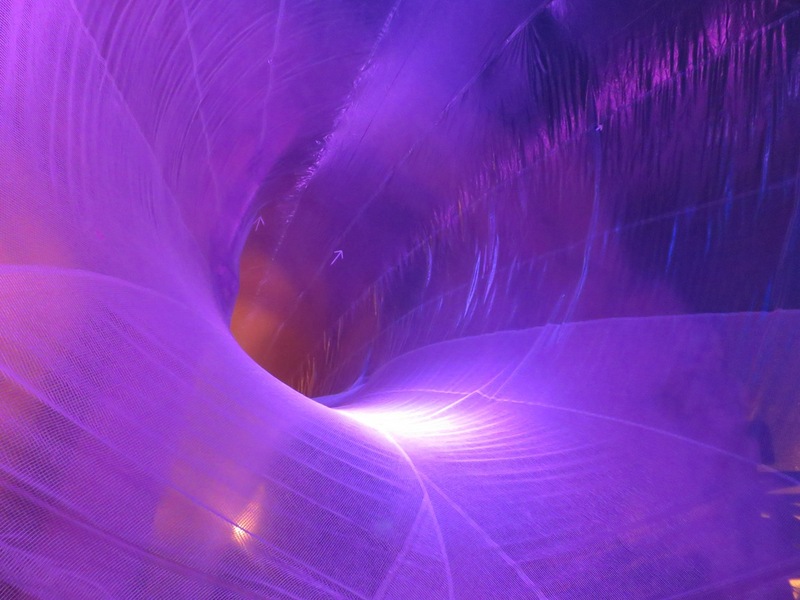 The project was a temporary architecture installation in the form of a giant inflatable structure that hosted an artistic, cultural and community programme of events that were free and open to the public over the course of the two days. 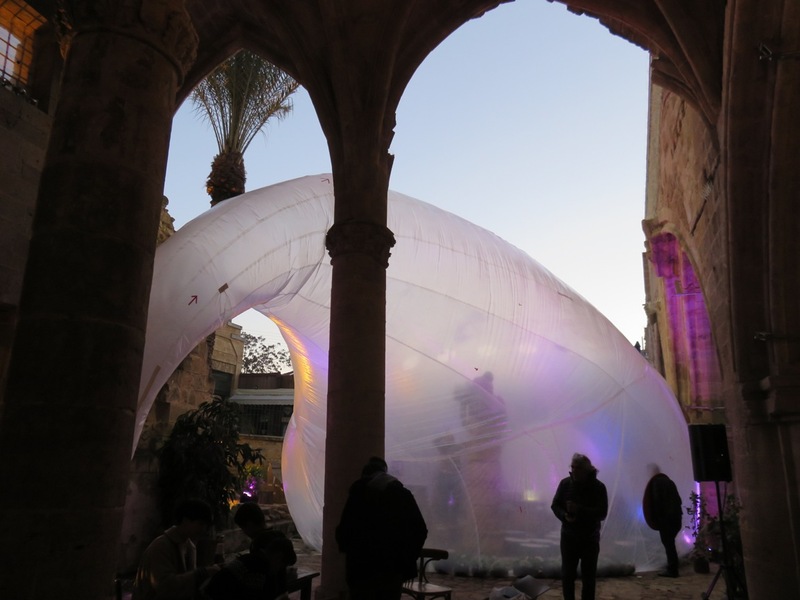 Life Inside_Outside the Bubble took place within the framework of the Green Urban Lab, made possible with funding from the EEA Grants / Norway Grants. 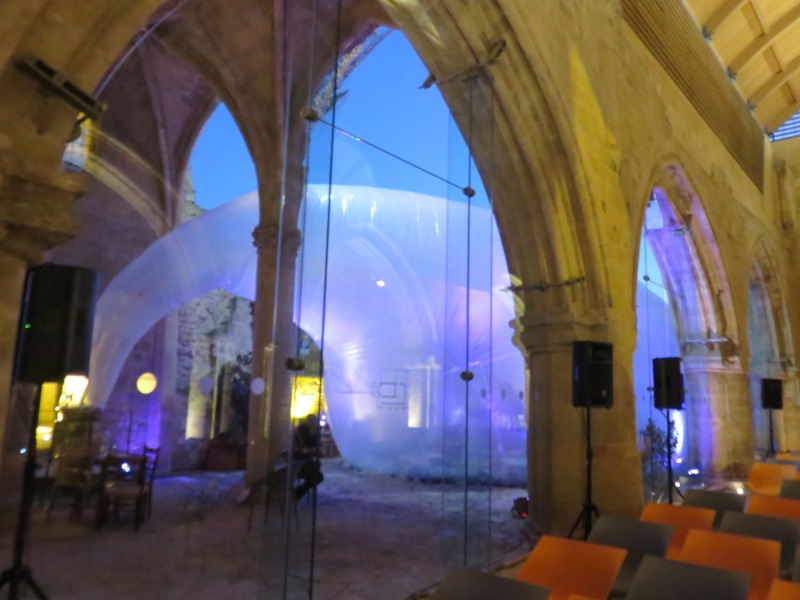 The European Commission and the Embassy of Italy in Cyprus hosted a lecture by Marco Canevacci, architect and founder of Plastique Fantastique on Friday 20 March at 18:30 at the Bedestan, where the giant inflatable was installed, marking the beginning of the two-day programme of events. 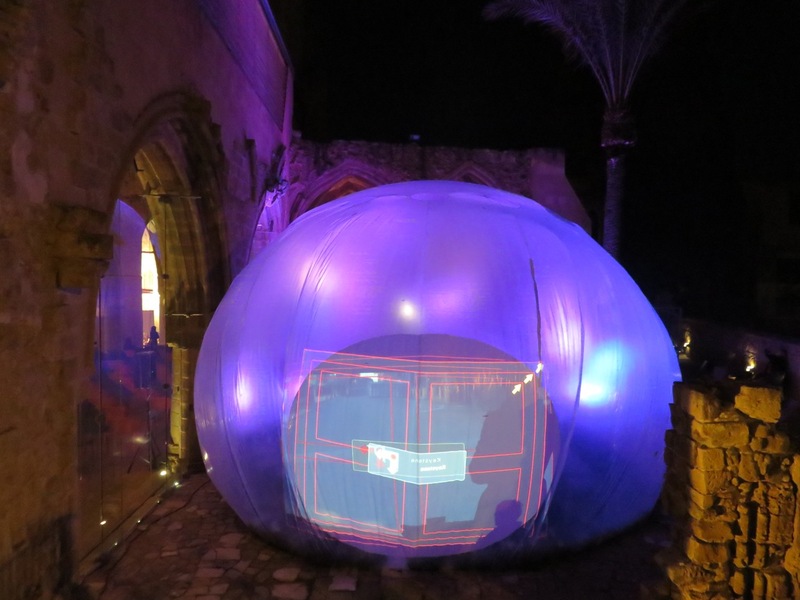 The programme of local and international artists and activities inside and outside the specially designed, site-specific bubble was selected after an Open Call whereby interested parties were invited to present their own work and ideas. 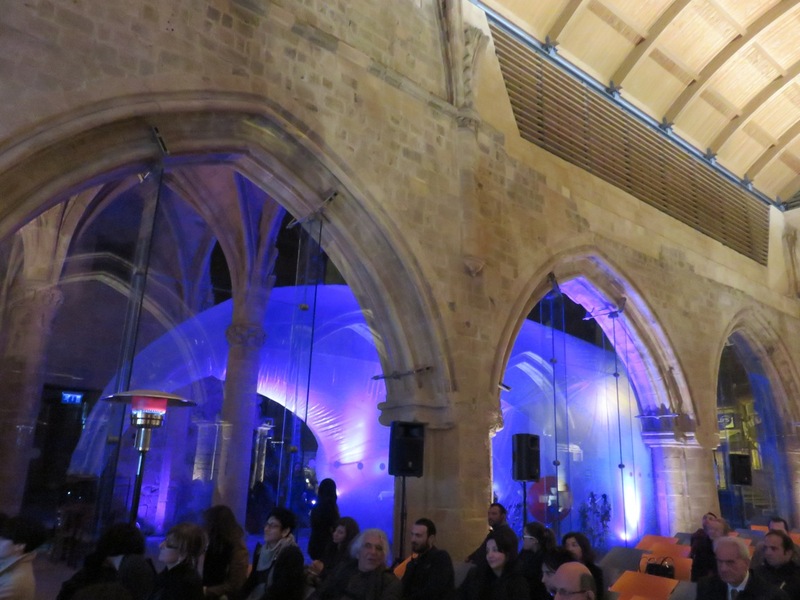 Beginning on Friday evening and continuing throughout Saturday, the programme included a diverse range of activities from dance and theatrical performances, exhibitions, video projections, screenings, yoga and live music to a photography project building a mosaic of the city, a series of urban furniture installations and a spatial installation with balloons for public participation that resulted from a collaboration between two organisations from the Turkish Cypriot community and the Greek Cypriot community. 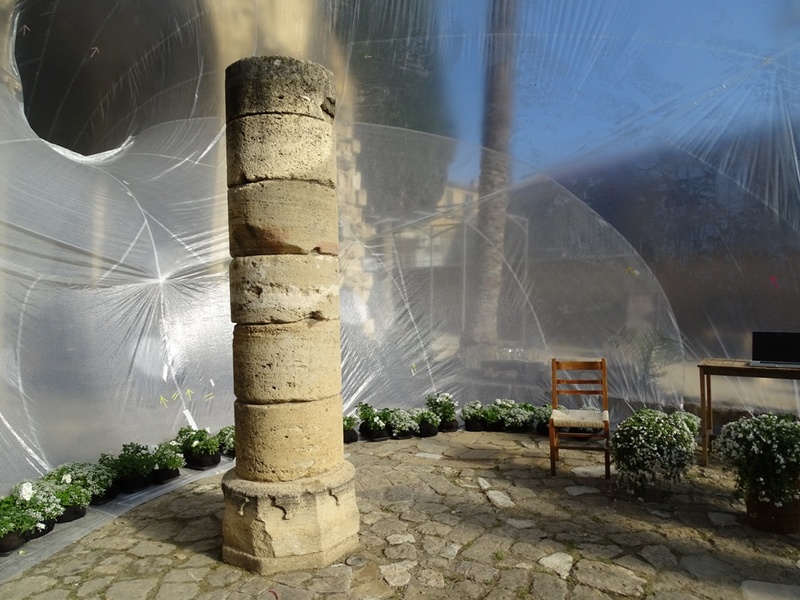 Urban Coral worked with passers-by to construct an installation that shapes public space in an ephemeral, spontaneous way. 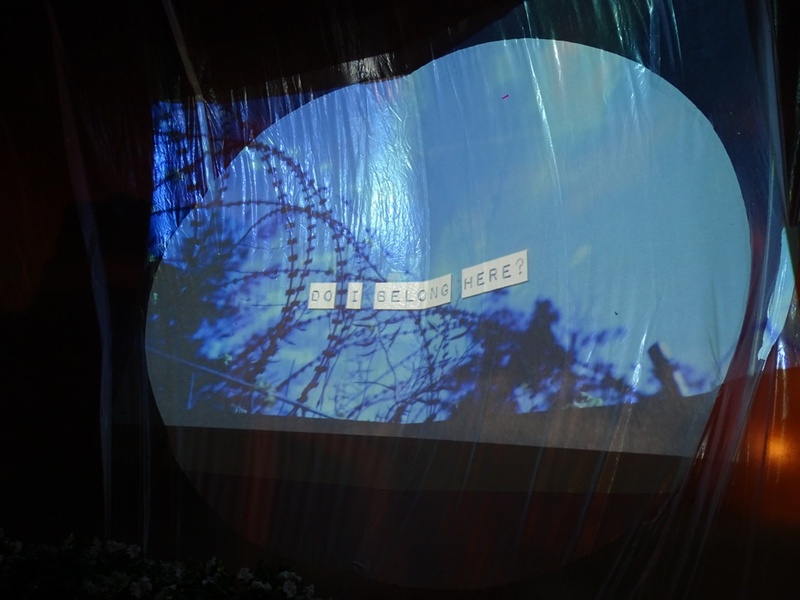 The Home for Cooperation Café offered refreshments throughout the day on Saturday.